consisted of nothing more than a few industrial building and a smattering of single-family homes nestled amidst acres of woodlands and fields. There were no stores, gas stations, restaurants or commercial offices. Landmark Developers had the vision to take a beautiful piece of land (approximately 1,000 acres) in a great location and turn it into Magnolia Greens. Driving through today's bustling commercial corridor in Leland, the entrance to Magnolia Greens is a gentle nod to the attainment of a lifestyle most Americans dream of: a white fence surrounded by lush landscaping draws you in to a well-groomed neighborhood with sidewalks, green spaces, and a variety of attractive homes. Community spaces abound: gardens, lawns, pools, tennis courts, playgrounds, clubhouses, and a magnificent golf course that regularly plays host to PGA champions. Just minutes from downtown Wilmington, 20 minutes from the beautiful beaches of the North Carolina Coast, a half-hour from Southport, and only an hour from Myrtle Beach, Leland, NC is at the center of it all. It's here where you'll find Magnolia Greens, a vibrant, affordable golf course community that set the tone for a whole new era of development in northern Brunswick County. 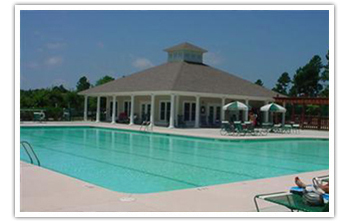 In the heart of Leland, right off the main artery of Highway 17, Magnolia Greens allows residents to easily connect to the larger cities of Wilmington and Myrtle Beach or to the neighboring small towns and countryside. In just a few minutes you can be at the downtown farmer's market or Shelton Herb Farm for your early morning shopping. At night, hit the road for a short drive to North Myrtle Beach to take in a concert at the House of Blues. 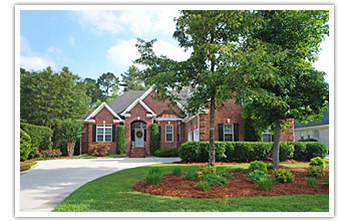 Residents of Magnolia Greens enjoy the best of country, city, and coastal living. The business corridor just outside the gates of Magnolia Greens offers a wide selection of retail merchants and professional services including Wal-Mart, Lowes, grocery stores, pharmacies, banks, restaurants, quaint boutiques, coffee shops, bookstores and hotels for vacationing friends and relatives. An ever-growing roster of medical service providers offer everything from urgent care and dental care to pediatrics, plastic surgery, and chiropractic care. Professional offices include builders, developers, financial advisors, insurance agents, attorneys, and more. Magnolia Village is the community's small commercial center immediately outside the neighborhood gates, featuring everything from grocery shopping to aesthetician services. Of course, you don't have to leave Magnolia Greens to find interesting things to do. This thriving community offering something for everyone-- you can walk the greens of the 4½-Star-Rated Championship 27-hole golf course; practice on the driving range; or workout at the 8000 square-foot recreation center featuring fitness and aerobics rooms, 2 tennis courts, and 3 swimming pools (1 heated indoor; 2 outdoor). Other exercise options include leisurely strolls on the large sidewalks that line quiet streets, or a light hike through the walking trails that span the area's 300 acres of protected green space. As you drive through the neighborhood, don't be surprised if neighbors strolling the lighted sidewalks or gardening in their yards stop and wave. Perhaps the most charming feature of this community is its residents, proud to call Magnolia Greens home! Not only did Magnolia Greens change the face of Leland over the past decade, it also set the standard for premiere (yet affordable) golf course community living. In March 1999, the Wilmington Star-News ran an article about Magnolia Greens called "When the Dream Becomes Reality." It described the development as “a luxurious, yet affordable golf course community close to Wilmington but away from the everyday hustle and bustle." It takes a village to realize a dream, and Magnolia Greens is indeed centered on its vibrant community of retirees, families with children, working singles, and young couples. Activities for residents offer the best of small town Americana: outdoor movies, dances, socials, card games, craft sessions, exercise classes, political discussions, and more. Residents have organized interest groups via the Homeowner's Association, which publishes a full monthly magazine with up to 50 pages of neighborhood news. A website and email groups also keep residents aware of the calendar of events for groups likes the bowling league, the gardening club, the singles club, an investment club, The Red Hat Society, the Neighborhood Watch group, book clubs, a Bible study group, a newcomers club, and more. And, of course, with “Greens” in the community's name, there is plenty of golf! The outstanding 27-hole public golf facility (with an 18-hole and a 9-hole course) was designed by renowned golf course architect, Tom Jackson. Recognized as one of the top public golf facilities in the Southeast, the course has been rated '4 ½ stars' by Golf Digest. It features a practice bunker, a 12,000 square foot putting green (unmatched in the region), a pro shop, a bar & grill, and an onsite golf school. 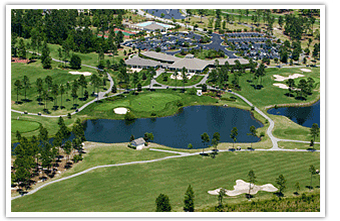 Magnolia Greens has also hosted PGA Tour Qualifying Tournaments since it opened in 1998. Magnolia Greens is home to three golfing legends from the PGA, the Champions and LPGA Tours: brothers Tommy and John Jacobs and Nanci Bowen, who is on the teaching staff at the course. A championship-caliber course, the greens are maintained to resort standards, yet this acclaimed facility still offers affordable rates. Magnolia Greens Golf Course is open to the public with special rates for property owners who can play as often as they like (with a membership and cart fees). Mild coastal temperatures, a thriving community with a full calendar of social and cultural activities, a tranquil setting, friendly neighbors, and an affordable, convenient lifestyle—that's the wish list for most empty-nesters, pre-retirement families and retirees. Magnolia Greens was the pioneer for a Brunswick County community that offers all of these sought-after benefits. With acres of conservation areas plus miles of lighted sidewalks, retirees have ample opportunities to enjoy their friendly neighbors and the temperate climate year round. Retirees also love the central location, which offers all of the conveniences of a bustling community outside the gates of the quiet Magnolia Greens golf plantation. Factor in the exceptional value of a strong real estate investment, and it's easy to see why so many people have already settled in Magnolia Greens for their golden years. The first community to embrace Leland, NC as its home, Magnolia Greens is an established, settled community with diverse real estate. When Magnolia Greens was founded, there were lots of high-end golf communities across the country; developers wanted to offer a more affordable option for homeowners while still offering all of the amenities proposed by pricier competitors. It's no wonder, then, that with just under 1250 home sites, all but 70 home were completely built by Magnolia Greens' 10th anniversary in 2008. Each of the carefully planned neighborhoods within Magnolia Greens was designed for a particular size and style of home in a specific price range. Townhomes, condominiums, patio homes, single-family and estate homes appeal to a wide cross-section of buyers at various stages of life. All properties are constructed by award-winning builders, Pyramid Homes, who offer a variety of “low country” architectural styles and floor plans. Many of the homes in the community are nestled along the Magnolia Greens Golf Course, giving homeowners lovely views of the meticulously maintained fairways, green spaces, and ponds. Whether you choose a townhome or a sprawling single-family home on the golf course, you'll enjoy the convenience, conviviality, and amenities that Magnolia Greens has to offer. 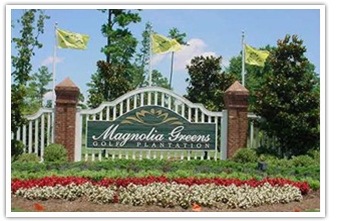 If you would like to be a part of the Magnolia Greens community, please Contact Us today. Ready to Search for Magnolia Greens Homes for Sale?